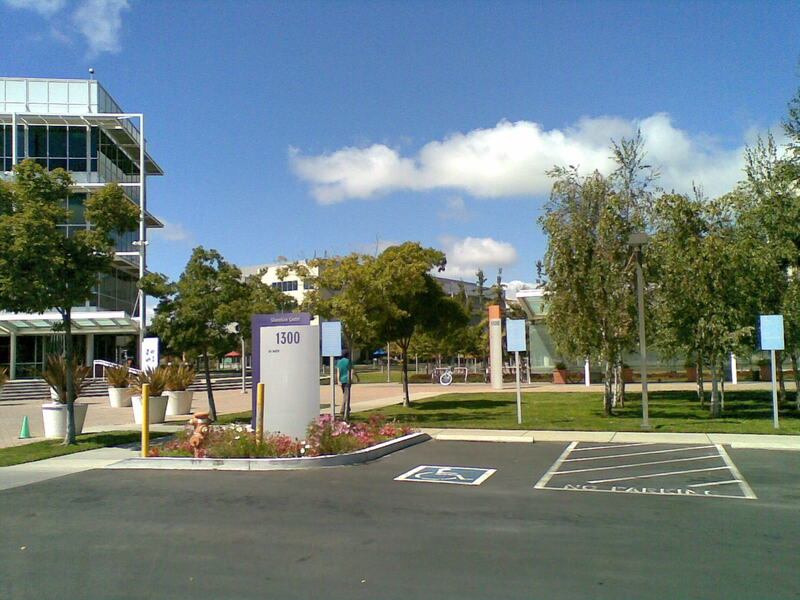 While I was in San Francisco, I checked out Google HQ in Mountain View, about an hour south of San Francisco in Silicon Valley. 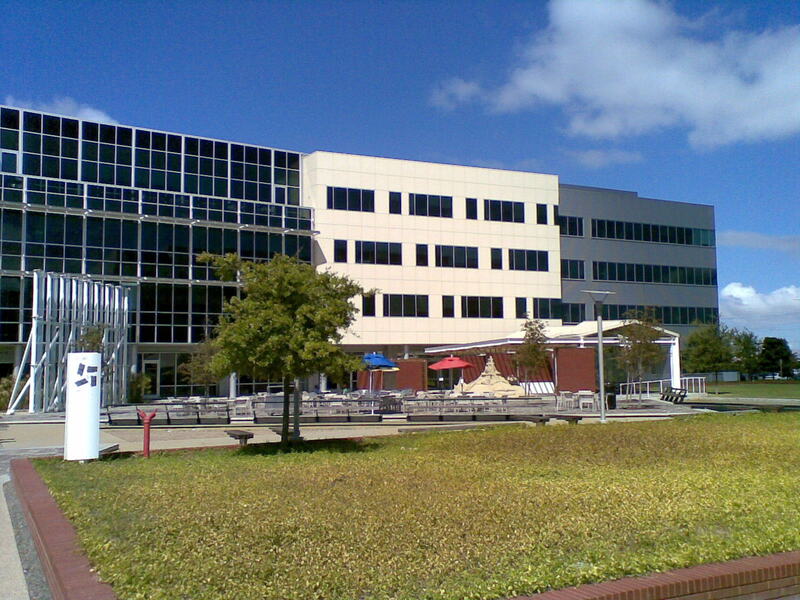 Many of the big technology players have their headquarters in silicon valley - Google, Apple, Intel, Cisco, HP, Adobe, Oracle etc. 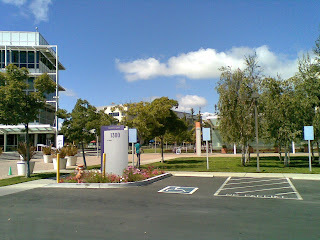 The Google campus is pretty impressive, and feels a lot like a university campus (see here for a video tour). 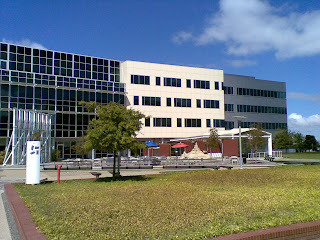 It was a beautiful day when I visited, and everyone was outside sitting at the picnic tables eating their free, tasty lunch. 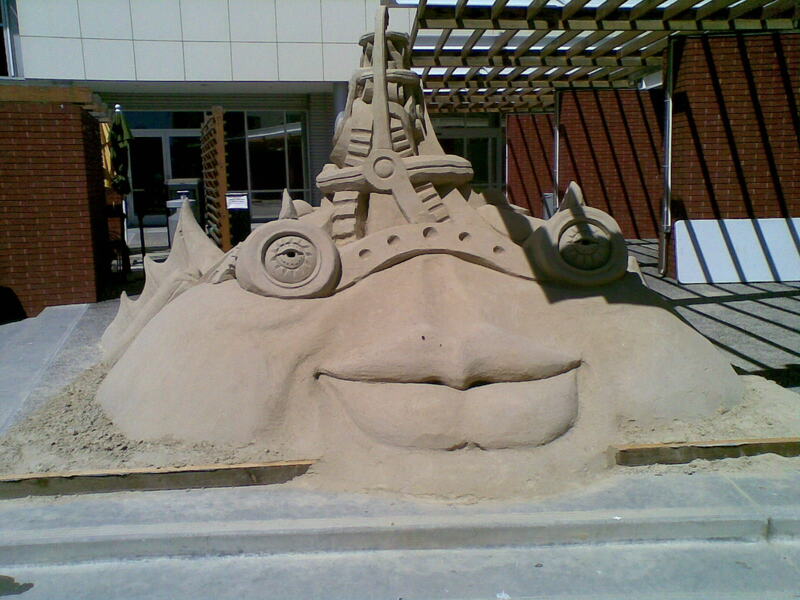 There was even a cool sand sculpture outside a building where they had a 'beach' party a couple of nights ago. 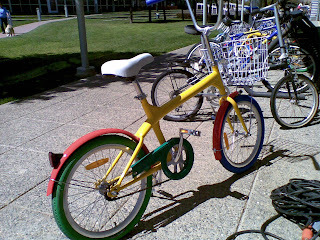 The campus is big enough that Google provides a whole fleet of bikes, in suitably primary google colours, for getting around. 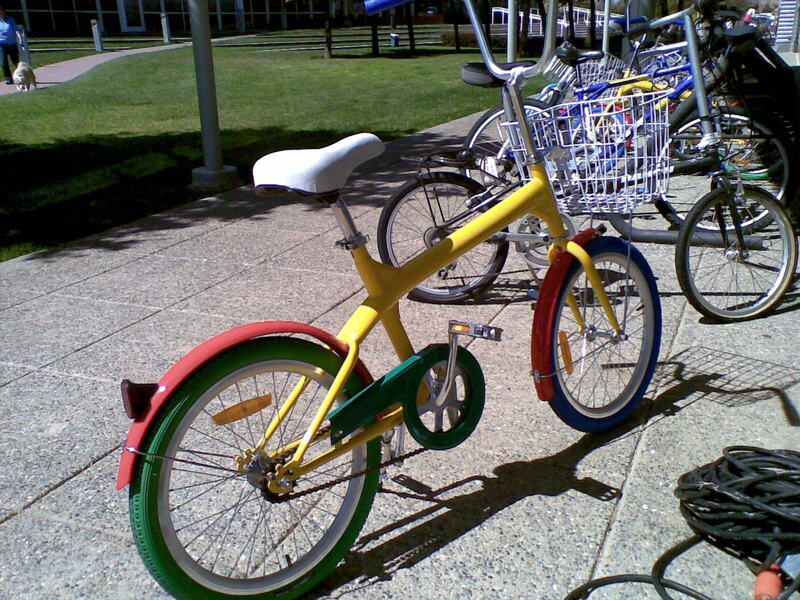 You can see these bikes propped up against pretty much every building in the area. After checking out the campus I drove over to Palo Alto (home of Stanford University) for dinner. 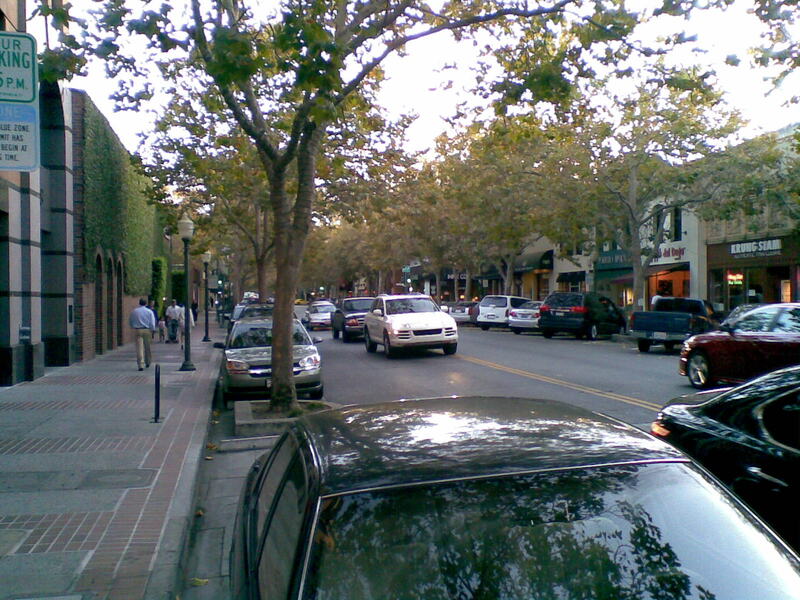 The town centre along University Ave. is one of the prettiest streets I have seen in the US. It is lined with bars, cafes, restaurants, and art galleries - kind of like Chapel St. in Melbourne but with more of a University feel.